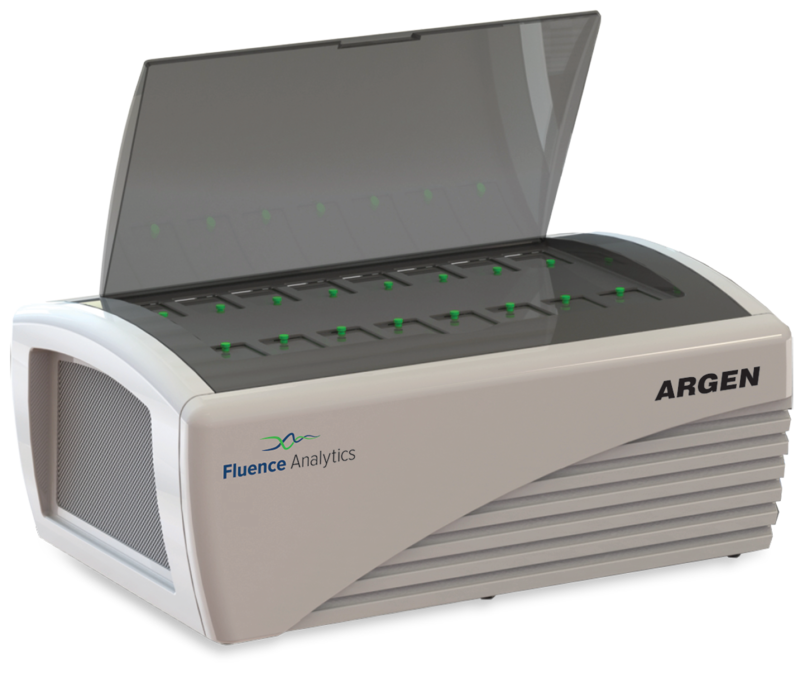 Fluence Analytics, a manufacturer of realtime, industrial and laboratory monitoring systems, has announced the launch of ARGEN, a patented protein and polymer stability monitoring product. By using continuous light scattering measurements, ARGEN yields an information stream that reduces discovery and formulation and development times. For more than a year, Fluence Analytics worked with university partners, biopharmaceutical companies and industry leaders during beta testing to improve the product's measurements, user experience and software features. ARGEN is engineered for precise, individual control of thermal and mechanical stressors of each of its 16 independent sample cells. By continuously analysing the state of samples, it provides novel time series datasets with quantitative insights into the early detection of aggregation, degradation and particle formation. It allows users to swap samples in and out during experiments without affecting ongoing measurements in other cells. The data can also optimise lower throughput, standard characterisation tests such as SEC. The product uses Total Intensity Light Scattering to characterise the stability of proteins, polymers and other natural products by measuring changes in molecular weight. The instrument includes commercial control and analysis software that enables users to configure, monitor and manipulate experiment conditions in real time. The software also offers the ability to analyse past or current experiments and determine the aggregation rate of any sample. “ARGEN is an excellent complement to historically mainstream techniques for monitoring and quantifying aggregation in the pharmaceutical industry and has become a mainstay in my laboratory,” says Prof. Christopher Roberts of University of Delaware. Prof. Roberts’ group was an early adopter of the new solution, using it to study proteins.